While the authorities vacillate between its existence and nothingness, several islands in the Caribbean continue to reap big rewards from casino gambling, enjoying a lifestyle superior to that of the moral majority in Jamaica. While residents of a few of these islands are relieved of the burden of paying income taxes, Jamaica continues to suffer from the sting of spiralling crime and increasing levels of deprivation among the island’s poor, even with its renowned high-density church presence and intense religiosity. With the relatively successful economies of many of its neighbours, quite a few of which benefit enormously from the gaming industry, one wonders what is causing this uncertainty in Jamaica where emigration is on the increase due to lack of opportunity and increasing hopelessness. Each time that the issue is ressurected, one thing is certain: church leaders will be on hand to crucify it anew. Reverend Roy Notice delivered a fiery sermon last Thursday at the National Prayer Breakfast, indeed one of the most entertaining public spectacles I have witnessed since the start of the year. I found myself agreeing with him as he drew attention to the proclivities of a profligate nation, and involuntarily let slip an Amen! when he rightfully included the church in his thunderous critique. But as soon as the subject of casinos came up, he knocked the wind out of me. Why, I asked my deflated self, is there such an ingrained fear of the legitimization of casinos in Jamaica? Last time I checked, there were several of them operating under the disguise of “gaming houses” in quite a few parishes. And just like the Forex schemes were left unregulated (prior to some magic moment last year), and free to proliferate themselves, these gaming houses have sprouted up unchecked and un-“noticed”. I expect the island to be teeming with them before anyone in authority, politician or cleric, realizes that there are really casinos in abundance. No rational argument has been advanced by objecting church leaders concerning the nexus between casino gambling and crime, and since these same leaders have shown no objection to the current crop of gaming houses, perhaps it is all a question of semantics. It may do Minister Bartlett well to avoid the use of that toxic ‘C’ word, and legitimize the “gaming houses” instead. The journey of a thousand miles begins with a single step. Equally baffling, is the burgeoning success of the efforts by the Bahamian Tourism Ministry to promote faith-based tourism in the islands. 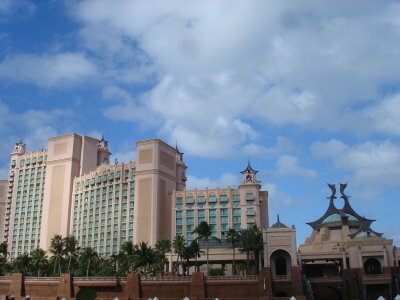 Considering the aversion to casinos by their Jamaican counterparts, the Bahamian church leaders must be on the road to perdition, hosting conventions within hotels that house some of their island chain’s largest casinos. Yet there seems to be no confliicts with the arrangements so far, as the churches in the Bahamas are curiously unmoved by the presence of casinos in their midst. If Tourism Minister Ed Bartlett’s Pentecostal background promises to author further indecision, he would do well to reflect on the deafening silence of the church leaders regarding betting at Caymanas Park race track, the weekly Lotto draw and the sparkling casinos — ahem, “gaming houses” gaining popularity all over the island.